HMBScitec Mega HMB - 90 kaps. 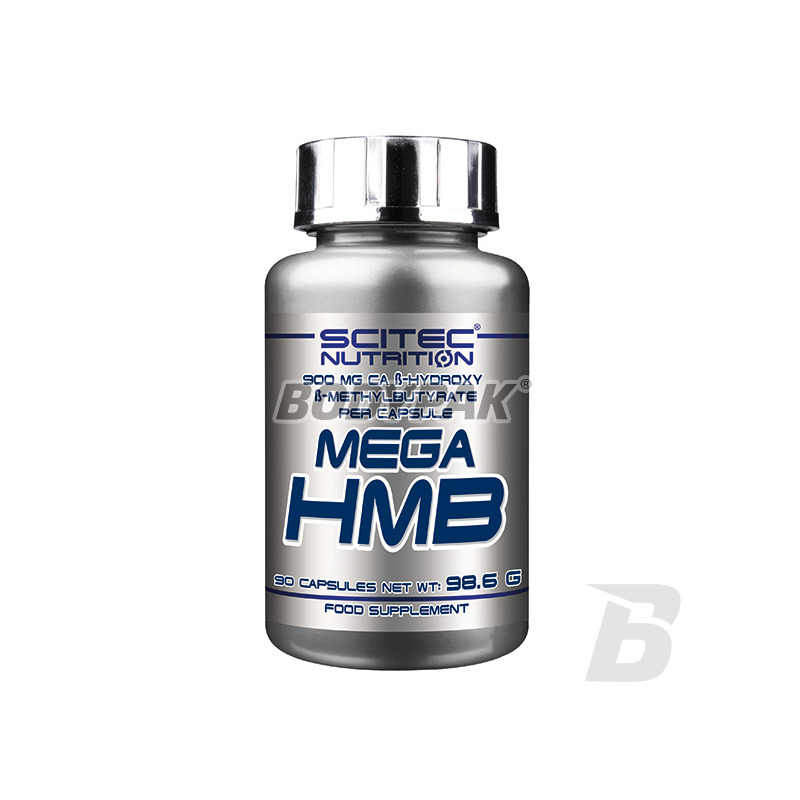 Scitec Mega HMB - 90 kaps. This formulation contains almost double dose of HMB! ß-hydroxy ß-methylbutyrate is a metabolite of the essential BCAA, leucine amino acids and is synthesized in the human body. Scitec HMB - 180 kaps. Scitec HMB - 90 kaps. 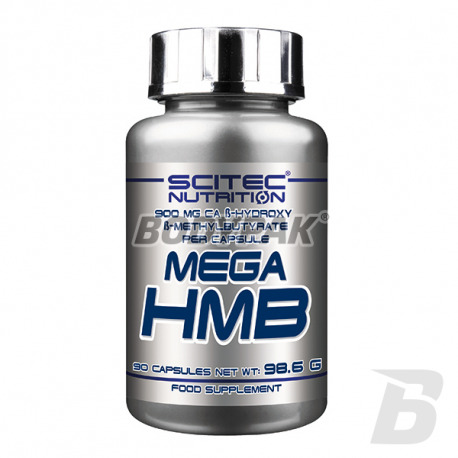 Scitec HMB MEGA contains almost double dose capsules HMB. ß-hydroxy ß-methylbutyrate is a metabolite of the essential BCAA, leucine amino acids and is synthesized in the human body. It produces about 0.2-0.4 grams per day. The standard dose is 3g per day. Leucine is becoming increasingly popular as a component for bodybuilders. HMB advantage is that it does not cause weight gain or an increase in water is not stimulant, and does not cause the effects of hormones. The product is intended for athletes, it can be used during preparation for the competition and after the season. HMB is suitable for long-term and continuous use. Super, stosowałem w płynie a teraz przerzóciłem się na Scitec polecam daje 5/5. Faktycznie wspomaga przyrosty beztłuszczowej masy ciała !